Next summer will see a massive expansion for American Airlines route network to Europe to meet phenomenal passenger demand. The airline will start a daily service to Munich from Charlotte, North Carolina, from 31st Match next year operated on an Airbus A330-200. 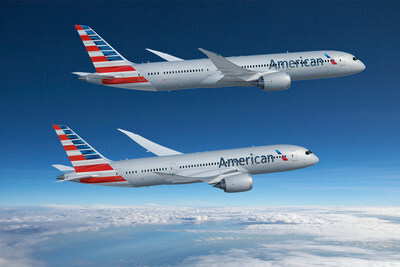 Athens will get a summer seasonal service from the American Airlines hub of Chicago, the daily flight will run between 3rd May and 28th September on a Boeing 787-8 aircraft. Philadelphia will get a daily summer season service to the historic Scottish city of Edinburgh, starting on 2nd April the daily service on a 757 will run until 26 October. Another new destination from Philadelphia will be Berlin's Tegel Airport, running between 7th June and 28th September and will operate on a Boeing 767, four times a week. Bologna will also have a four times a week service between 6th June and 28th September and American Airlines will also deploy a 767 to the schedule. Dubrovnik Airport in Croatia is a surprise new destination for American Airlines and will start on 7th June and run three times a week until 27th September. The carrier will utilise a 767 on this route also. Pheonix will welcome a daily seasonal service to the UK's capital of London, a Boeing 777 will fly the route daily between the end of March and 26 October. There will be two new summer routes from Dallas Fort Worth to Munich and Dublin. 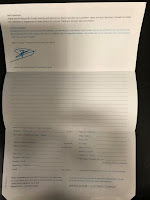 The flights will be operated by Boeing 787 aircraft and both will start on 6th June, Munich ends on 26 October while the Dublin service will finish around a month earlier on 28th September. “By providing the only nonstop service from North America to Bologna and Dubrovnik and adding Berlin to our international footprint, American is making it easier to see the world,” said Vasu Raja, Vice President of Network and Schedule Planning. American is calling a halt to its service between Chicago O’Hare International Airport and Shanghai Pudong International Airport, the airline will also reduce service between Chicago and Narita International Airport (NRT) in Japan from daily to three days per week, effective in December.